The post contains the recent Glo Data plan for Android,iPhone,Laptop and Blackberry and also how to check your data balance. 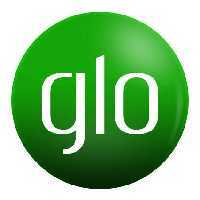 Its no longer news that glo offers the cheapest data for Android,iPhone & Blackberry in Nigeria,with N1000 you will get a 3.5GB data for your mobile device. Lets take a look at glo's data offer for its subscribers. There is a new twist to Glo's new data bundles, old customers are, allowed to enjoy the old data plan i.e N1,000 for 3.2GB data and will be given a 3days period to renew subscription after data expiration. Failure to do so will return the old subscriber to1.6 GB for N1000 whenever the customer decides to subscribe again,so in other to keep on enjoying the 3GB data,ensure that you recharge and auto renew before the expiry date. This rate is also applicable to new Glo subscribers. In response to customer complaints of slow internet speed,Glo launched its 4G LTE across Nigeria. To learn about Glo 4G Data Plans (4G LTE) Dial *777# and follow the prompt. N1,000 for 3.2GB data valid for 30 days. To subscribe for Glo 4G Data Plans (4G LTE) dial *777# and follow the prompt. Also note that the Glo 4G network is not yet available in all locations and cities in Nigeria. 1.6GB for N500 – Valid for 7days – Dial *127*57# to subscribe. 3.2GB for N1,000 – valid for 30days – Dial *127*53# to subscribe. 7.5GB for N2,000 – valid for 30days – Dial *127*55# to subscribe. 10GB for N2,500 – Valid for 30days – Dial *127*58# to subscribe. 12GB for N3,000 – valid for 30days – Dial *127*54# to subscribe. 18GB for N4,000 – valid for 30days – Dial *127*59# to subscribe. 24GB for N5,000 – Valid for 30days – Dial *127*2# to subscribe. 48GB for N8,000 – Valid for 30days – Dial *127*1# to subscribe. 60GB for N15,000 – Valid for 30days – Dial *127*12# to subscribe. 90GB for N18,000 – Valid for 30days – Dial *127*13# to subscribe. 1GB for N200 – Valid for 1 Night (12am – 5am) – Dial *127*60# to subscribe. If you have any questions,don't hesitate to ask in the comment box below.